Technology is the future. It is continuously evolving and galloping into our lives. At The Universal School, we value technology and its role in education, not as a substitute for the irreplaceable human guidance of teachers or experiential learning of children, but for its speed, immediacy, spread, revisits, quick testing and feedback features. Our relationship with technology powerhouses such as Apple, Google & Espresso allow us to make technology a way of life at Universal. Thus technology permeates the curriculum and enables and empowers our children. Universal is a 1:1 all Apple school with an age-appropriate Apple computer (iPods for Preschool / iPads for the Primary School/ MacAirs for the Middle & Secondary School) for each learner and staff. These are equipped with amazing applications, that defy the limitations of human explanation, as well as help students learn ICT, do research, make presentations, learn different languages and enhance Math skills. • Universal’s partnership with Espresso, the UK’s #1 digital curriculum service, facilitates high-quality, cross-curricular & video-rich digital resources, which engages and challenges learners. • Espresso content is broadcast on to the learners’ computers & on to the HD LCD display in each classroom. The e-library offers unlimited access for both, great learning and creativity. The Universal School has deployed Barnes & Noble Nook eBook reader extensively in its library – in addition to the several 1000 traditional books. 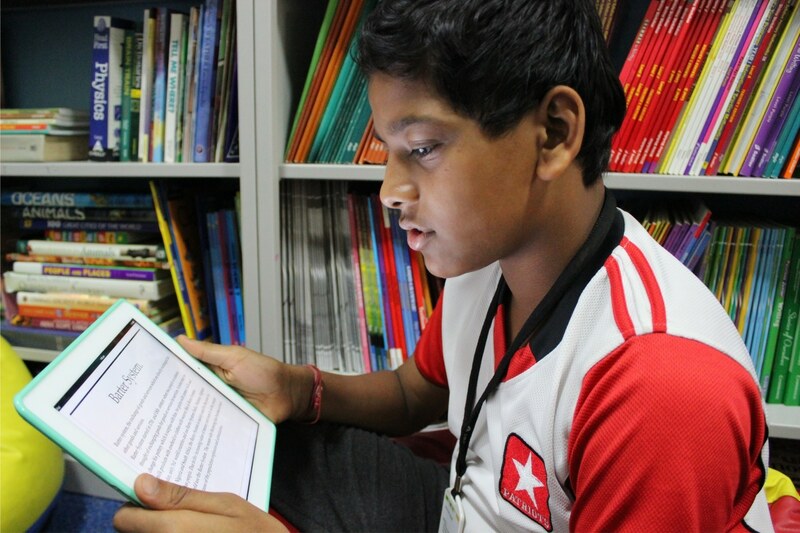 This reader brings more than a million books, newspapers, magazines, blogs to the learner – on a compact device with an e-ink display where the text appears as crisp as a printed page. • Universal subscribes to the Google Apps suite for our schools. This allows all staff and learners to have their own personalised home page and email IDs on the school domain name. • This also allows the school administration to blog/tweet/publish all circulars, schedules and news items on the school website. Parents can subscribe to email alerts, tweets, buzzes and feeds via the website to keep in touch with the latest happenings in the school. 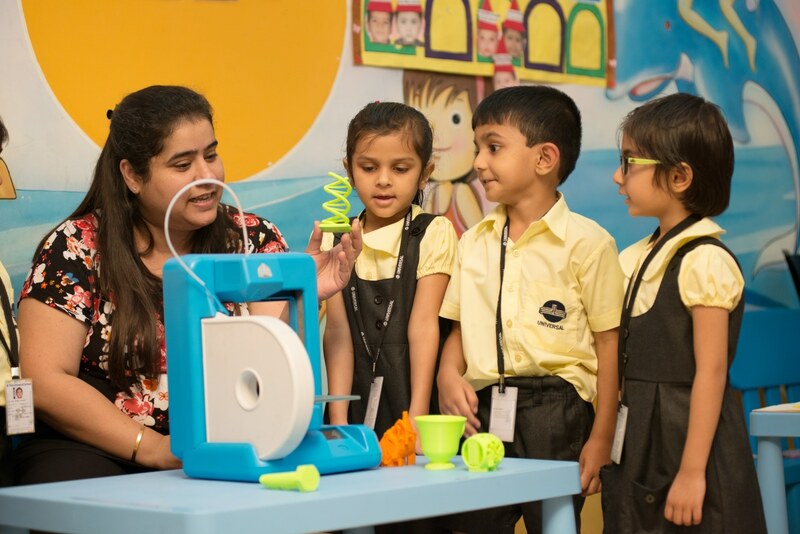 • 3D as a Teaching aid: Integration of Technology in to the curriculum has always been and continues to be our forte. The addition of the digital 3D printer to the already existing repertoire has widened learning opportunities for our students. • Radio-frequency identification (RFID) card to integrate technology in a meaningful way for the students. The RFID cards track key aspects like the students attendance, and library usage.